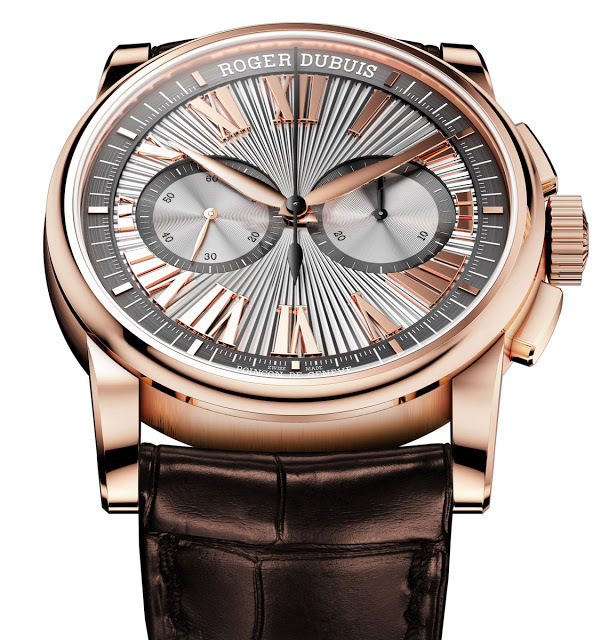 Roger Dubuis will unveil a revamped line of Hommage timepieces at SIHH 2014, one of which is the Hommage Chronograph equipped with the RD680 calibre, made in-house and one of the few self-winding chronograph movements with a micro-rotor. 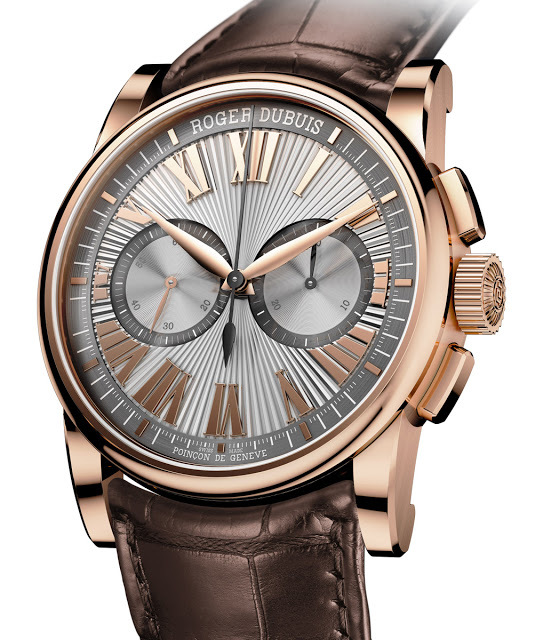 One of the original product lines created by Mr Roger Dubuis back in 1995, along with the distinctive Sympathie, the Hommage was a series of round, classically styled watches. At SIHH 2014 later this month Roger Dubuis will present a new line of Hommage timepieces, including the new 42 mm Hommage Chronograph. The Hommage line will feature complicated movements as well as embody various decorative crafts like guilloché and enamelling. One of the new models is the Hommage Chronograph in a 42 mm pink gold case. 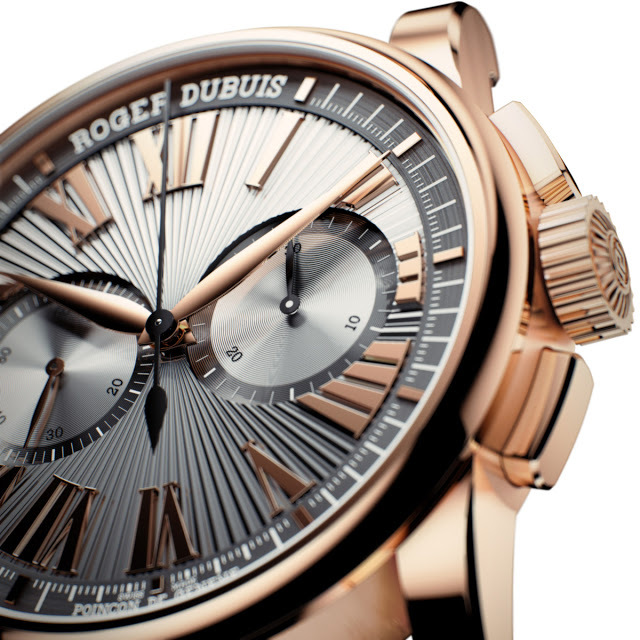 Like all the Hommage models it has Mr Roger Dubuis’ signature engraved on the case back. 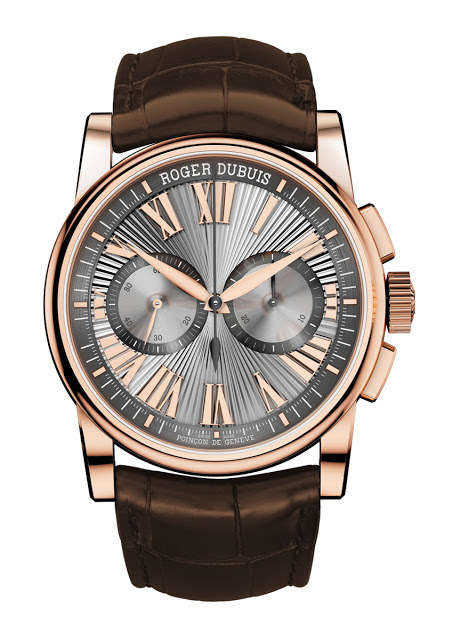 The dial is silver with a sunray guilloche, with applied Romans in pink gold, a somewhat classical aesthetic but nevertheless flamboyant in the typical Roger Dubuis fashion. 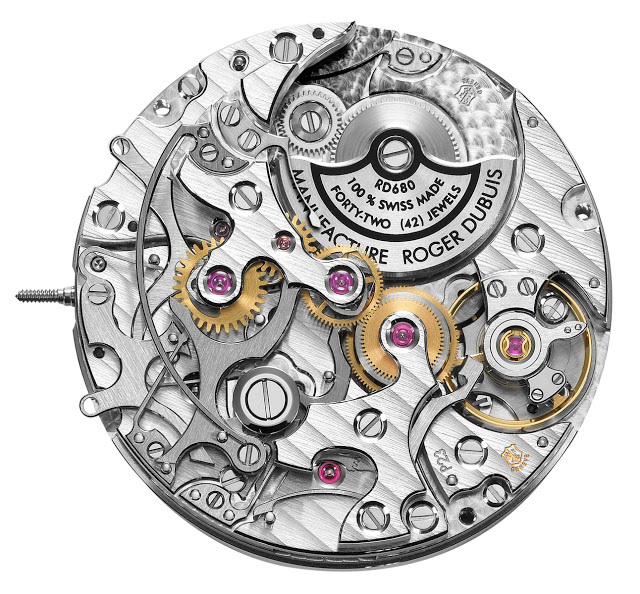 Made in-house and Geneva Seal certified, the RD680 movement has a micro-rotor, which leaves the chronograph mechanism unobstructed.